Baby pink faux suede vegan creeper shoes with a 3 inch platform. 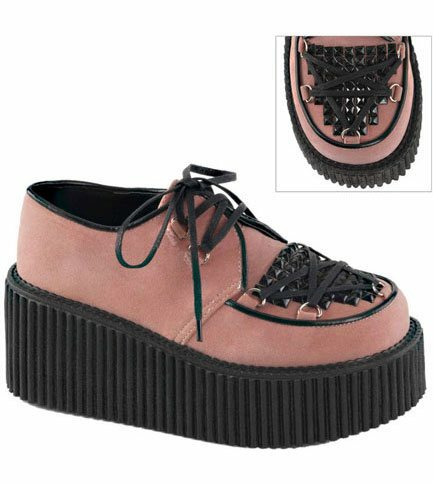 These creepers have vamp embellishment with pyramid studs and lace pentagram on the toe. The front of these shoes have a D-ring lace-up closure. Couldn't ask for more!! Shipped when it was showed to and the shoes were more than my daughter could have asked for. Perfect!! !